The team here at Valoriani UK are delighted with a feature article in this month’s glossy lifestyle magazine, Lancashire Life, which runs under the title of ‘Preston’s Pizza Pioneer’. The article, in the Spring 2018 Food & Drink supplement to the magazine, focuses on how our founder, Andrew Manciocchi, introduced wood-fired pizza ovens to the UK 15 years ago, when many people were unconvinced that they would ever catch on. As the article says, nowadays no foodie’s garden is complete without a wood-fired pizza oven. Journalist, Emma Mayoh, has kindly pointed out that Andrew is the go-to expert, if you wish to buy a wood oven. 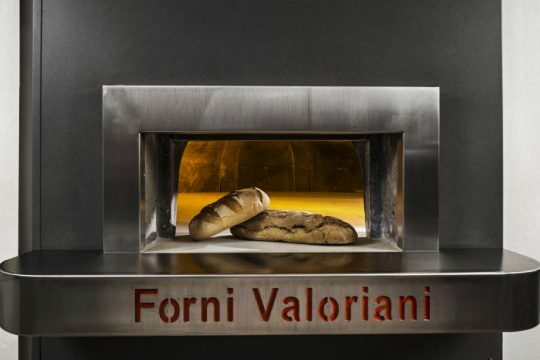 She also highlights some of the celebrities who have shown great judgement in buying a Valoriani wood fired oven – Gwyneth Paltrow and Chris Martin, Guy Ritchie and Gary Barlow, being just a few. Emma adds that Andrew has fitted wood-fired ovens for commercial clients as prestigious as Harrods and the River Café, although this is just the tip of the iceberg. The feature does highlight how Jamie Oliver loved the Valoriani pizza oven that he purchased from Andrew so much, that he then bought Andrew’s business, with Andrew working and cooking with Jamie, his chefs and the likes of Gennaro Contaldo, over the course of four years. And the article also covers the family connection behind the Valoriani UK team – with Andrew, his son Dino and daughter Christina now all part of the operation, with counterparts in Tuscany, at the Valoriani base, being Massimo Valoriani and his daughter Viola. All in all, it’s a fabulous article and well worth a read. It certainly conveys Andrew’s pride in achieving a dream and the rather poignant fact that his father Venanzio dreamed of opening his own pizzeria after he arrived in England in 1953, but never thought the English would understand pizza. How far we have come. There’s also a very key point towards the end of the piece that is well worth noting. Whilst Andrew has achieved his own dream of introducing pizza ovens to the UK, he has been so successful that the market is now flooded with inadequate wood-fired ovens that are not authentic and have no longevity. Individuals and restaurant owners who have bought a cheap oven have paid the price, seeing the oven quickly fail, with all the financial loss that this situation brings. It’s the complete opposite of what Valoriani owners experience, to the extent that some of the Valoriani ovens fitted back in 2003 are still in operation and delighting their owners now. You really do get what you pay for.